It is amazing how we only knew that 1 + 1 = 2 and had a hard time even solving that in the first place. Once we did master that, it became so easy. But as time went by, math became harder and harder increasing its values with the additions of multiplication, subtraction, division, fraction and then to learn statistics as part of a curriculum to master for the purpose of research when we get older, smarter, and more mature in thinking. 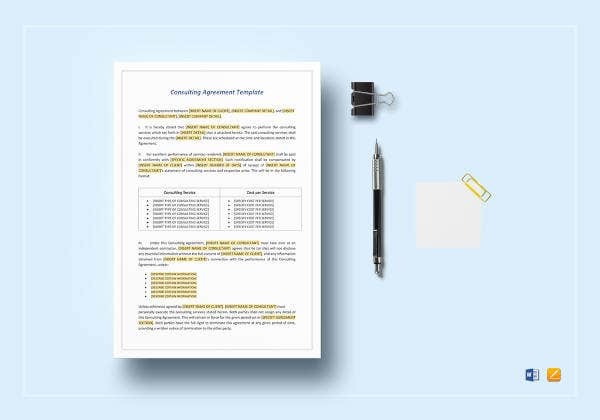 You may also like consulting agreement templates. Math was not the only thing that had us scratching our heads, but also other subjects we went through in elementary, high school, college and the things we learn and think critically at work. If you have observed, we also did not face these challenges alone. We had our parents and teachers and even sometimes friends to guide us in knowing and answering our own curiosities and mastering a certain skill or field with regards to the academic paths we took. Having someone guide you as you learn something new or enhancing something you already got a hand of is so important because these skills can be used some time in our lives one way or another. A great engineer can never be labeled as”great” if he did not have the people who helped him learn the things that needed to be mastered back when he was still studying in college. 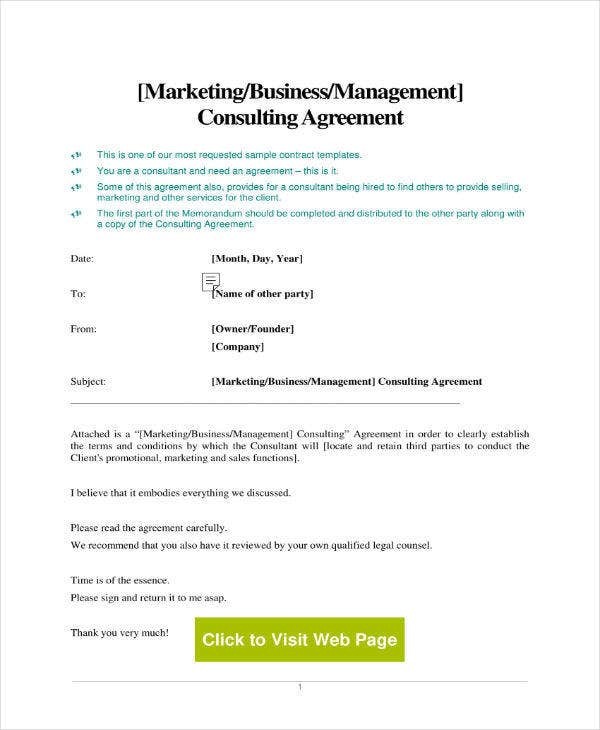 You can also like marketing agreement templates. If you are a person who is planning to have a business, you have to have help from a lot of people who will guide and impart knowledge so that you would know the necessary things to do to sustain your business in the future. One important thing in business is having to increase your target market every year. You can achieve this by having a marketing consultant. We will be explaining to you in this article what is a marketing consultant and how to actually keep one in a specific span of time. Next, we will be discussing what are the important components in devising a marketing strategy for the development and improvement in sales of the business. Finally, we will be tackling the benefits of hiring a consultant no matter what field you are currently at. 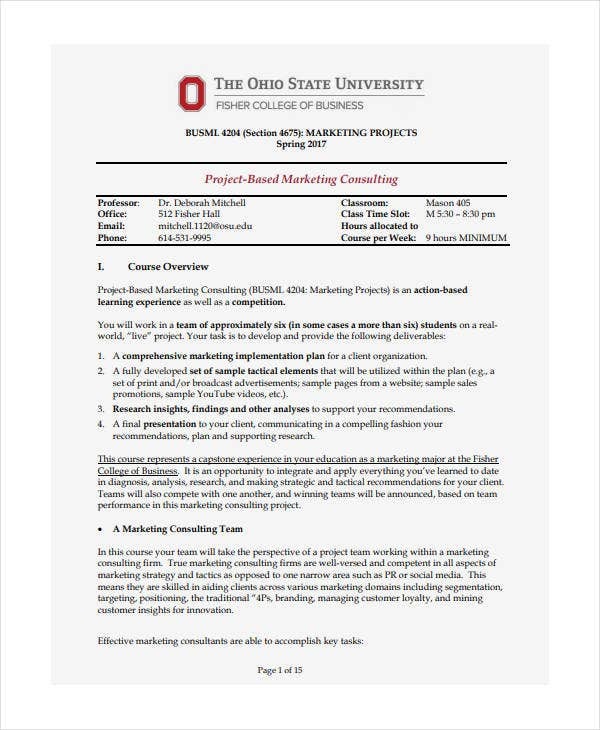 Templates are being displayed here to give you additional information about having a marketing consultant. Take down important notes you feel can be useful in the future. To know what a marketing consultant is, let us first describe what marketing really is. Marketing is simply having the knowledge of your own product and communicating that kind of information to your businesses’ target market or audience who can consume the product or service. Marketing involves promoting a product and planning strategies to meet the expected success within a particular time. That is called sample marketing strategy which we will talk about in a little while. If you want your business to grow and have it sales double by the end of the year, get yourself a marketing team or a marketing consultant. A marketing consultant helps a business in providing the sufficient things it has to do for the said business to boost its target sales by a target year or time. The consultants would give some pieces of advice to the business whether it might improve the color, branding or even the product itself if he or she sees the need to improve the said product in order for the marketing activities to be more effective. If ever you are the owner of the simple business, the final say of the implementation of the plans the marketing consultant has for the business will always be in your responsibility. 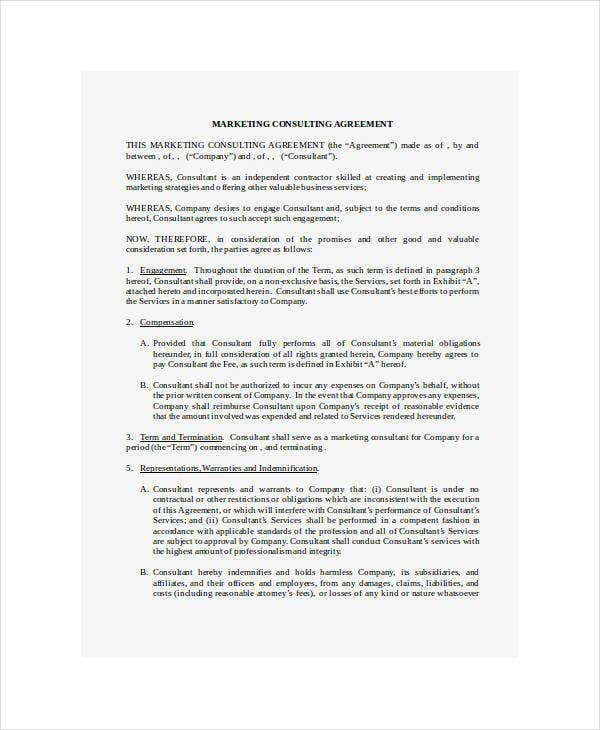 In order to have a legal contract between you and the marketing consultant, you both have to sign a marketing consulting agreement or contract. 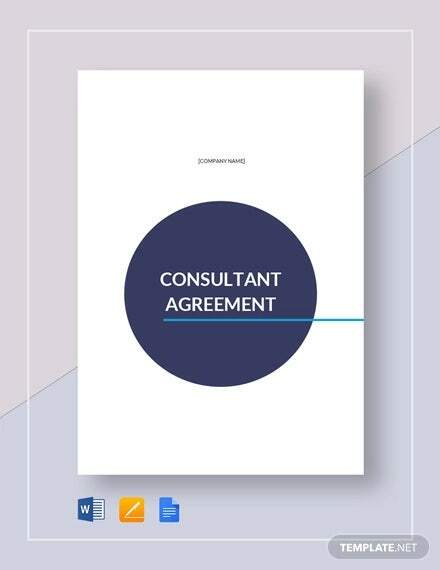 In this kind of agreement, it will signify that the consultant will be there in helping the business for a particular span of time as long as the business will also give something in return for the benefit of the consultant. 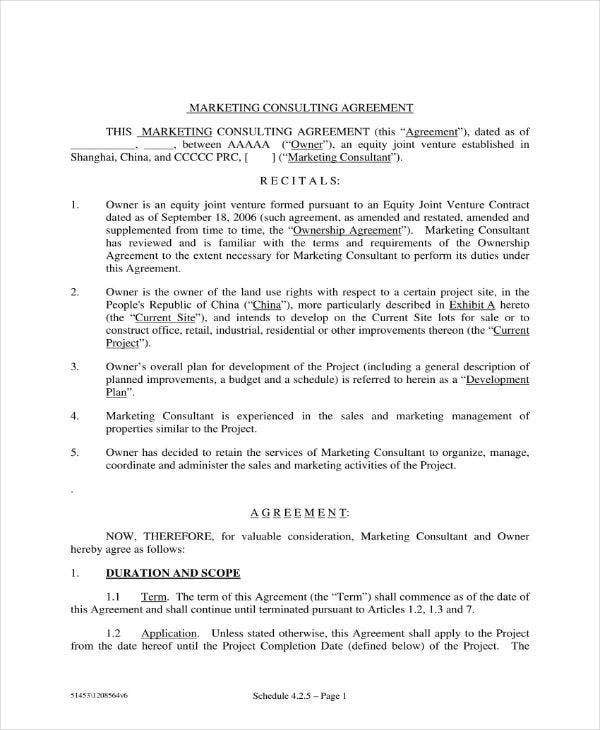 It will state the duties and responsibilities of both the owner of the business and the marketing consultant. A marketing team is different from a marketing consultant because the marketing consultant will only be there to give his or her ideas and guide the business owner or the businesses’ very own marketing team. A marketing consultant can be recognized as a consultant if he or she has been in the field for a couple of years now and has found success. 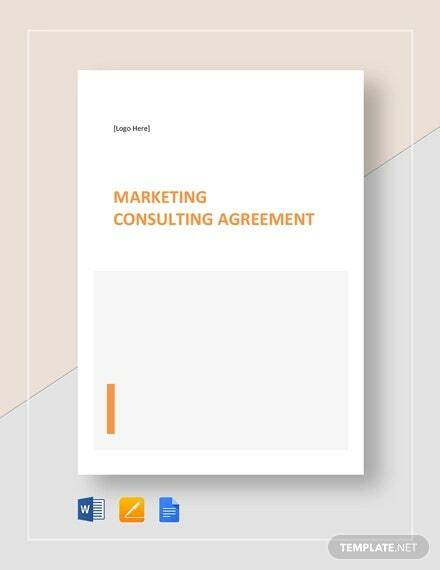 A marketing consultant can be a consultant with numerous companies as long as he or she does no disclose plans of the companies he is currently consulting. 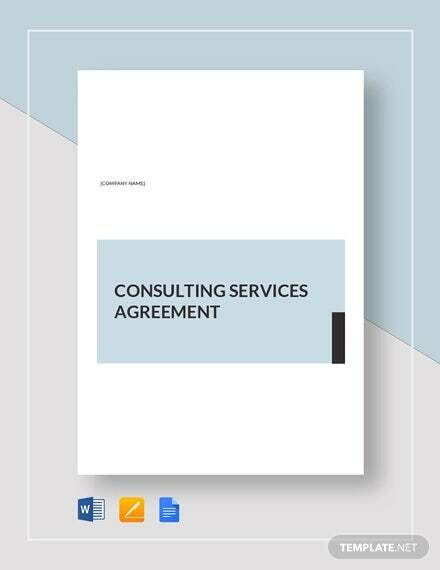 You can also read sample consulting agreements. In order to get the word out effectively about a new product or service that you believe can be a hit, you have first had a good marketing plan or strategy. In this part of the article, we will be talking about the important components that one should consider while developing his or her own marketing plan/strategy that would benefit the business in a good way with the hopes of having the sales doubling up by the end of the year or within a specific span of time made by your marketing team. Please do take note of the following as these parts are the general things that a marketing team should do and include in their planning. This involves researching and knowing what the trend is in the market and what works and what does not work. This will help you in figuring out a way to have your product or service adapt to the trend so that the consumers would take notice of the specific product or service. You can also like basic agreement templates. Aspart of the research, you can identify who have been using your products and services and see if they have any complaints or suggest improvements on the said product. You can also look into if a particular target market has been slowly using and noticing the product. This would you in creating a sample marketing strategy for that particular target market. A part of the marketing team, find out where you are currently in the market. Look at the past few years and identify if the business has been growing or has slowly fallen from the market and figure out why such a thing is happening. 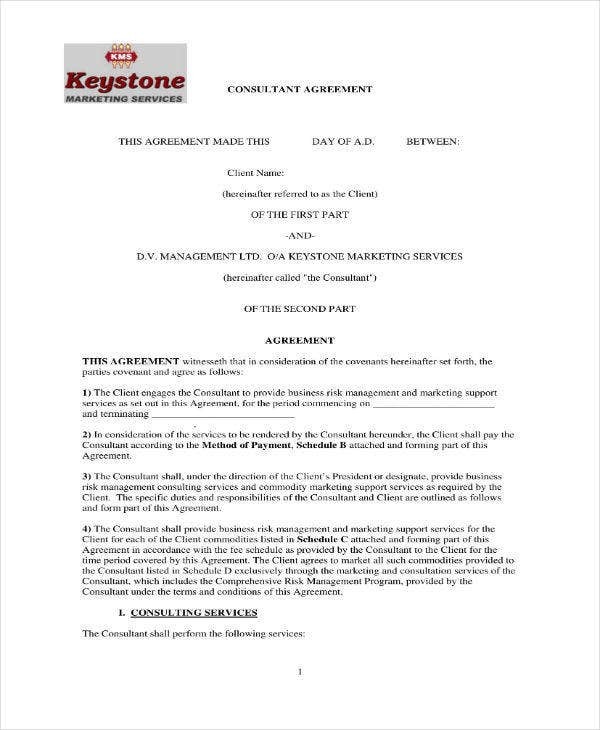 You may also like marketing agreements for restaurant. 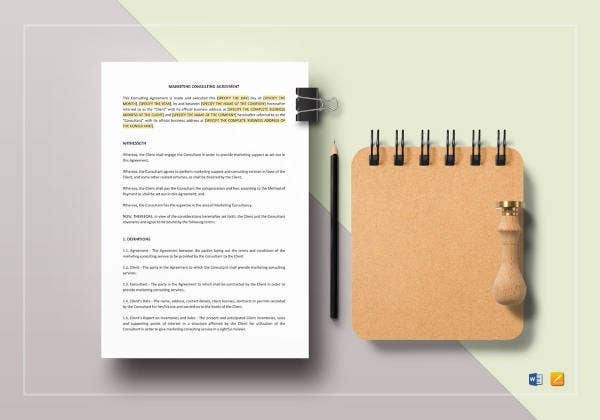 In laying out the perfect marketing plan or strategy, a marketing team has to identify its competitors and the position they are in the market. The marketing team should know what keeps the competitors ahead of their very own company or business and try to study how they have become so consistent over the past few years. This is where the planning for advertisements, product placements, billboards and etc would start. The marketing team should base their strategy on what they have found out from the marketing research, target market identification, current position of the business, the competitors’ success. The marketing team should include the overall simple budget for the things that have been planned out. It has to have a breakage of expenses and that it should also be justifiable by the kind of materials being utilized. If ever the budget is too high, the marketing team has to explain why it is expensive and would assure the effectiveness it would bring the consumers when they see that certain material like a billboard or a commercial. Those are the general components or parts that are needed in formulating an effective marketing plan or strategy. One moment or another part of our life, we will be able to be with people who can give us so much input and information about certain things we get to encounter in life. Having a consultant or a teacher to guide you is sometimes one of life’s most grateful memories that one can recall as he would tell a story to a crowd where he got his knowledge and expertise from aside from personally experiencing the field. 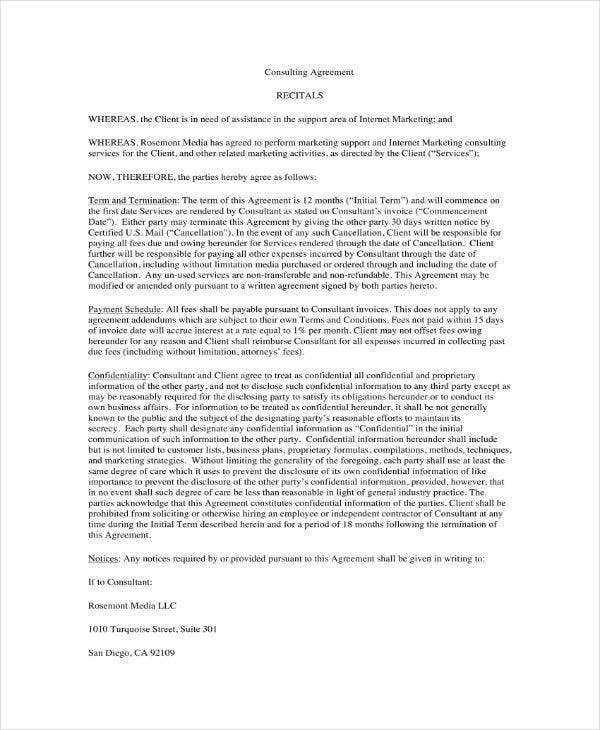 You may also like joint marketing agreements. The background can become the foreground from time to time with the consultant serving as the background. Aside from the usual disadvantage that some consultants can bring because of their nature in teaching their craft to you, there is also some advantage. 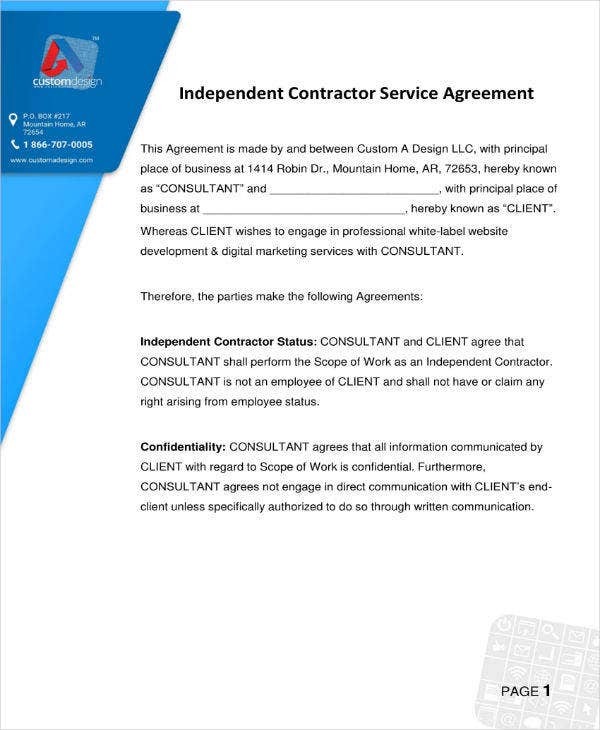 You may also like service agreement templates. The benefits can only be effective if one, you get the best consultant out there who knows how to understand and listen to you and two, if you also cooperate and be persistent in learning new skills and improving old ones. 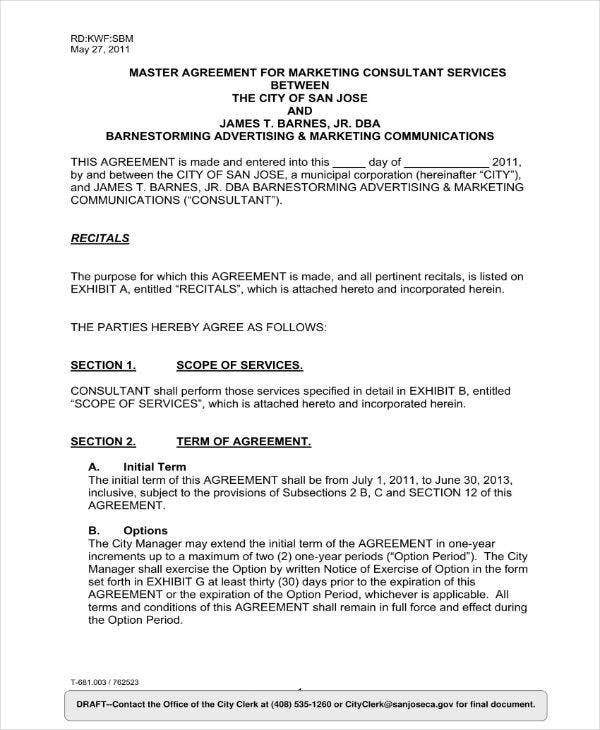 You can also read sales and marketing agreements.